Welcome to ECO wreckers – the Rocklea based number one car scrap dealer who pays you in cash for scrap cars. Eco Wreckers have a network of wrecking yards and salvage yards across Queensland who pay cash for scrap cars, high-mileage cars, damaged, wrecked or just plain worn out old cars as well as scrap vans, trucks and 4X4s. They don’t have to be running for you to get good cash. Our Scrap Cars Springfield Agents cover Springfield suburbs including Springfield Lakes and Springfield Central – Removal is always reliable, fast & FREE. 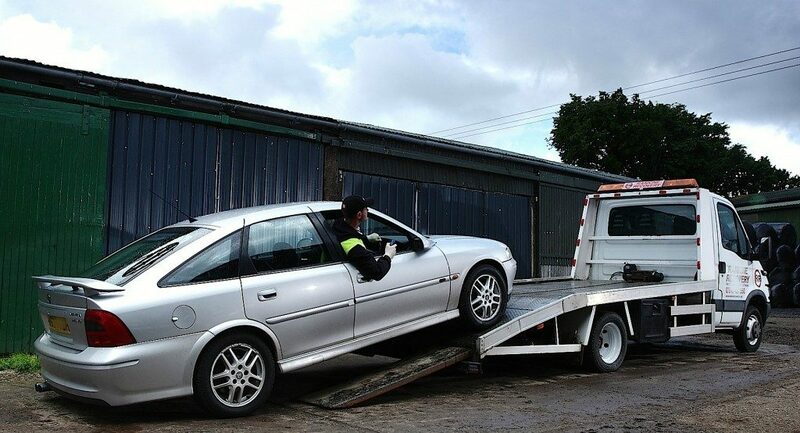 Eco wreckers offer an unwanted or scrap car collection and car recycling service in the Rocklea, Brisbane. Turn that scrap car into hard cash today – all you have to do is give us a call 07 3393 9929. One of our locally based Scrap Cars Springfield Agents will come to the location of your vehicle, pay you cash in hand and tow your vehicle, free of charge, to one of our Brisbane auto wreckers yard. We pay top prices in Springfield and all surrounding area’s in Ipswich, Jordan and Oxley. We can usually remove the car that same day if you call before 5PM. The amount of cash we pay depends on the condition of the vehicle and whether or not we salvage or simply scrap your car. Call Eco wreckers now for a quote, it takes less than 10 minutes, and sell your Scrap Cars Springfield today! How to Get Cash for Scrap Cars Springfield? Get an instant quote by calling or use the Contact form on the right or even simple phone call to 07 3393 9929. Our Scrap Cars Springfield agent will pay you cash on the spot. TMR paper work is all done by us! You do not have to be present at time of pickup – alternative payment arrangements can be made. Arrangements for scrap cars with missing keys, Log-books or roadworthy’s can usually be accommodated. We’re pretty proud of our car wrecking network, though we do say so ourselves. It spans across Australia, making it one of the biggest of its kind, and is purely made up of Authorized Auto Recycling Facilities – which means only those who have been approved and certified by the governmental Environment Agency, allowing us to guarantee reliability and quality at all times. What’s more, our personal relationships with each of these dealers means that you can trust us to get the best deal for you. We work with dozen of scrap yards and dealers throughout Queensland, enabling our car scrapping service to run nationwide, and offer you the best price for scrapping your car. So, if you’re thinking It’s time to Scrap Cars Springfield – then look no further. Get your online quote now and join the thousands who trust us as the number 1 company for scrapping their car. and getting the most amount of cash in return. This entry was posted in qld wreckers, scrap vehicle and tagged auto dismantlers Springfield, auto salvage Springfield, car removal Springfield, car wreckers 4300, car wreckers Springfield, cash for cars Springfield, Cash for Scrap Cars Springfield, junk car buyers Springfield, junk car near Springfield, Scrap Cars Springfield Central, Scrap Cars Springfield Ipswich, Scrap Cars Springfield Lake, sell my car Springfield, wrecking cars for cash Springfield on February 6, 2019 by Wreckers.